Anything can be re-framed to something more positive, which lifts your mood and steers you toward more positive things to come. What a fabulous life strategy! 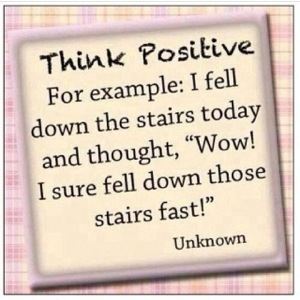 Positive outlook is always an option!